Roger Graham Twose (born 17 April 1968 in Torquay, England) is a former British cricketer, who played 16 Tests and 87 One Day Internationals for New Zealand in the mid-1990s. Born in England, educated at King's College, Taunton, and an effective player for Warwickshire County Cricket Club, Twose moved to play in New Zealand in 1991–92, as it became clear he would struggle to ever force his way into the England side. Twose performed well in New Zealand for several seasons, eventually being selected for a national cap on New Zealand's 1995 tour to India. Twose initially struggled to solidify his place in the New Zealand team, and a string of inconsistent performances soon meant he was dropped from both the Test and one day sides. 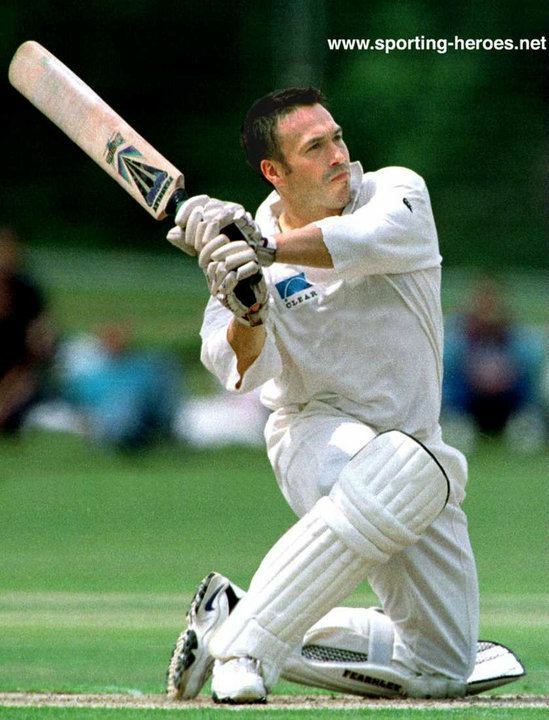 However, in the 1998/1999 season, having spent a couple of years retooling his technique, Twose returned to the New Zealand side and soon became recognised as one of the best one day batsmen in the world, known as "the switch-hitter". Twose followed strong performances against India and South Africa by being New Zealand's most successful batsman at the 1999 Cricket World Cup, scoring 318 runs at an average of 79.50. Further he achieved all this whilst studying a university course by correspondence. Following his retirement from Test cricket, Twose continued to perform consistently in the One Day International arena, rising to 2nd in the world batting rankings. He reached his peak on New Zealand's 2000 tour of South Africa when he finally scored his first and only century after 75 matches. His performances resulted in one of New Zealand cricket's cult mantras "We need sixes, fours and Twose to win". His blistering innings of 87 against Pakistan in the 2000 ICC KnockOut Trophy semi final allowed New Zealand to defeat a strong looking Pakistan, and he also contributed to their win against India in the Final. New Zealand seized that year's Champion's Trophy to win their first major ICC Tournament. However Twose soon started to look to life beyond cricket, and declining performances in the 2001 tour by Pakistan showed this. In 2001 he quietly retired from international cricket to pursue a banking career.